Think that a 10” Android tablets are a little too small for your liking and you wish that someone would just go ahead and make big screen Android devices? No problem, Acer recently announced the DA241HL, a 24” Android-powered all-in-one device, a follow up to the first Android AIO that was announced at MWC earlier this year. The DA241HL is the first Android AIO supporting multi-tasking, web browsing, gaming and video. 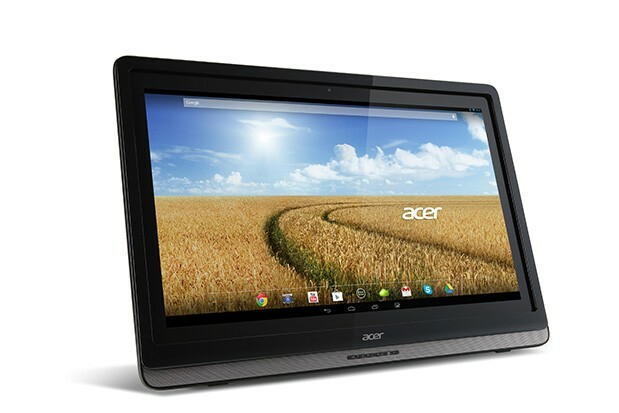 Powered by Tegra 3, Acer says that the 24” Android AIO will offer a similar experience with tablets and smartphones, giving users a seamless experience across a collection of Android devices. At the same time, Acer also announced several typical AIO PCs – Aspire U5-610, Aspire Z3-105 and Aspire Z3-610. The Aspire U5-610 is powered by the latest Intel Haswell processors, along with NVIDIA GeForce GTX 760 M GPU with up to 16GB of RAM. The Aspire Z3-105 on the other hand is an AMD AIO that runs on the latest A series quad-core CPU with Radeon graphics. It packs Harman Kardon speakers and Dolby Home Theater surround under its hood. Finally, the Aspire Z3-610 is also a Haswell AIO with a choice of either Intel graphics or an NVIDIA GPU. These devices will be showcased at the upcoming IFA 2013. The 24” Android AIO, DA241HL will be available in mid-October with a starting price of €429, the Aspire U5-610 will be available in December from €1,129, Aspire Z3-105 will be available in December from €799 and finally, the Z3-610 will be available in January 2014 from €799.